Aerating is one of those things you’ve probably heard recommended for your lawn numerous times but which you have never actually bothered thinking about. However it’s actually key to a healthy lawn. It allows for healthy root growth for your lawn by breaking through the layer of dead grass and moss that covers the soil of most lawns, allowing air, water and nutrients to penetrate deeper into the soil. 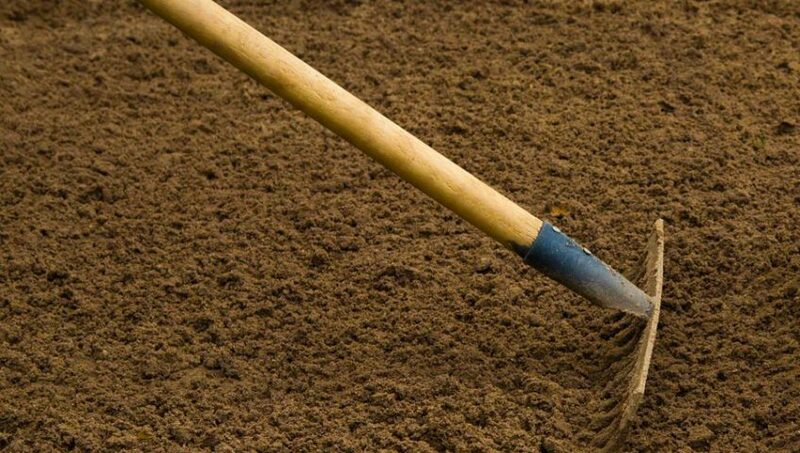 You can learn more about soil health and the steps to take. But what actually is aerating? Well, put as simply as possible, it is the act of punching lots of small holes in the soil throughout your lawn. 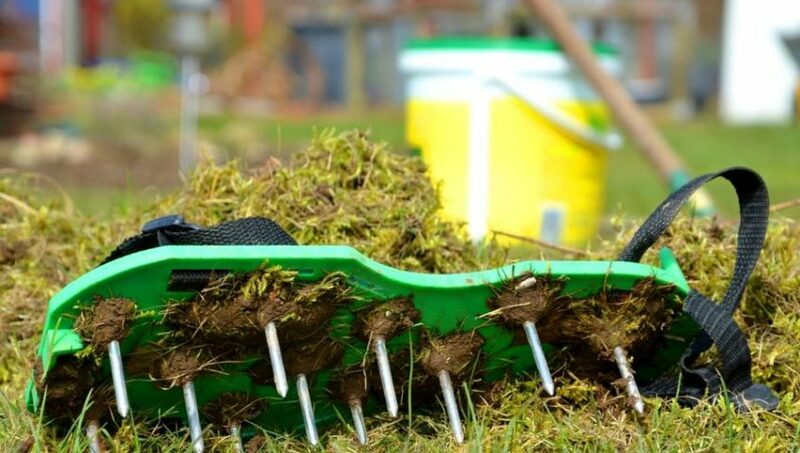 Some gardeners use a gas-powered machine known as a “core aerator” to pull out small chunks of grass and soil across the lawn, others simply use a normal garden fork to punch holes into the grass, which many consider to be less effective, but still better than nothing. Some people swear by scarifiers and rakes, they wouldn’t use anything else. This is an essential part of garden care. Either way, it not only helps aerate your roots but also provides a better habitat for the micro-organisms that typically live in your lawn and are hard at work breaking down the thatch layer of moss and dead grass that accrue on most lawns. And you only really need to do it once a year and it’ll help attract birds to the garden. 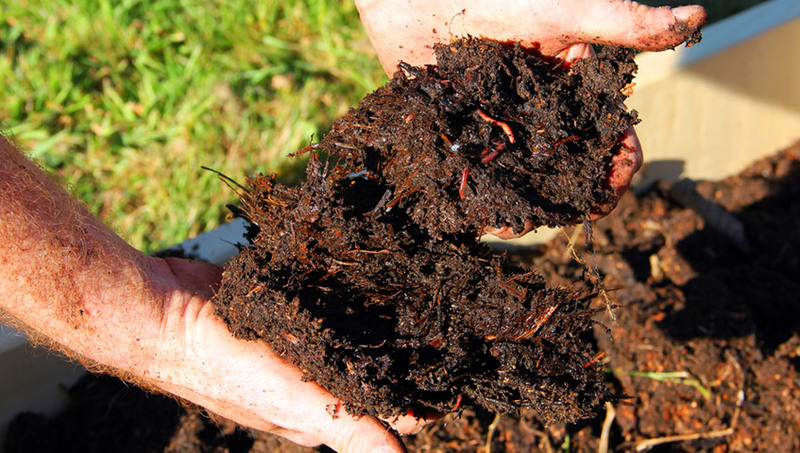 Looser soil means worms can breed more easily and we all know the early bird gets the worm. It also has the advantage of being far less of a chore than de-thatching. The only downside is that you can expect to find lots of little piles of soil across your garden, but these are easy enough to rake up if they bother you, while de-thatching can pretty much pulverise a lawn to the point where it needs some time to recover. The best time to do this is probably November after the last cut so it can have a chance to recover from the shock. Although there’s plenty to do in November already. Your lawn’s soil can get compacted by the constant foot traffic or use of heavy equipment across it which can force the soil particles tightly together, forcing all the air out of your lawn. This results in areas where water can’t be absorbed and you’re likely to see puddles appearing and grass dying off. Water timers that set off sprinklers that setoff an automatic watering system for fifteen minutes at a time can combat this but it’s much better to just aerate. These are the spots that most need aerating, especially if the soil is heavy clay. If you’re walking over clay soil a lot, the lawn is going to be in dire need of aerating. – There are worn areas appearing where people trek over the grass. – Water puddles appear if the lawn has been irrigated. – Minutes after watering the lawn the water begins to run off. – Parts of the lawn seem dry and seem impossible to moisten, it might be that you need to lay turf again if you don’t act soon. 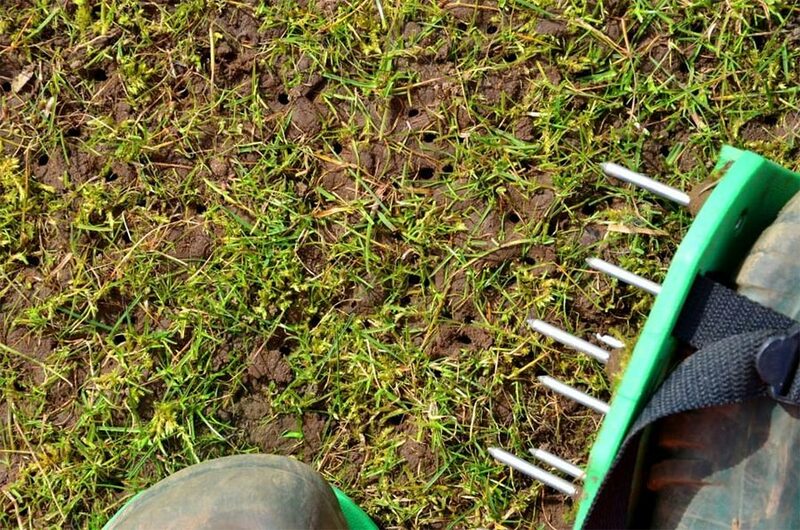 To aerate properly you want to make sure the holes whether spiked or cored are spaced 3 to 4 inches apart across the lawn. Make sure the soil is lightly moist – not dry and crumbly or wet and muddy, and do two passes over the lawn in different directions. Each hole should be roughly 3 inches deep. Do this once a year and you’ll have a garden that is clean, growing well and perfect for barbecues, letting your kids run around, or simply lounging about with a good book. The perfect way to enjoy summer.